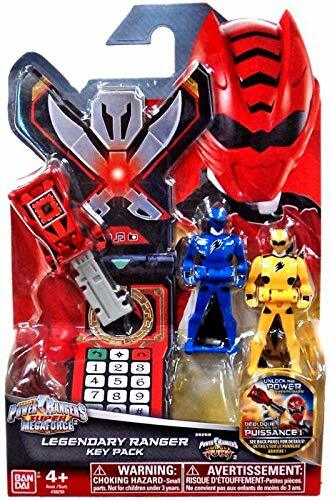 Unlock the power of the Power Rangers Super Mega force battle gear and Zord with the Legendary Ranger Keys! 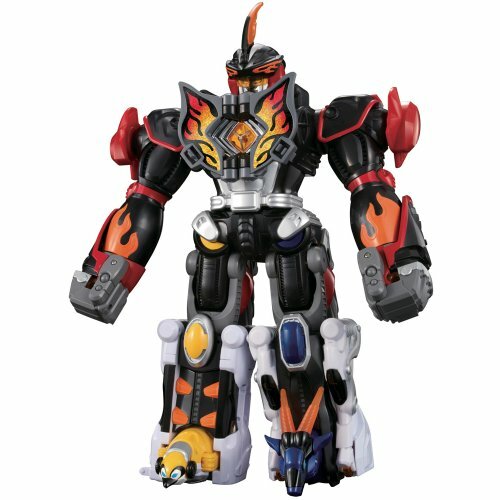 Each key activates features in other Super Mega force items, including the Deluxe Legendary Morphed (38001), Battle Gear (38035, 38046, 38030) and all items in the Zord Builder collection (38070, 38080, 38110, 38090 and 38095). Each sold separately. But with three keys or more, you can also practice your strategy and precision to become the Mighty Mini Game Master! By choosing one of three Mighty Mini Games, you can showcase your power tactics and master ranger battle techniques as you challenge your friends. Scan the keys using the Power Rangers Scanner App to morph into your favorite ranger and battle evil. With dozens of Legendary Ranger Keys available, collect them all! 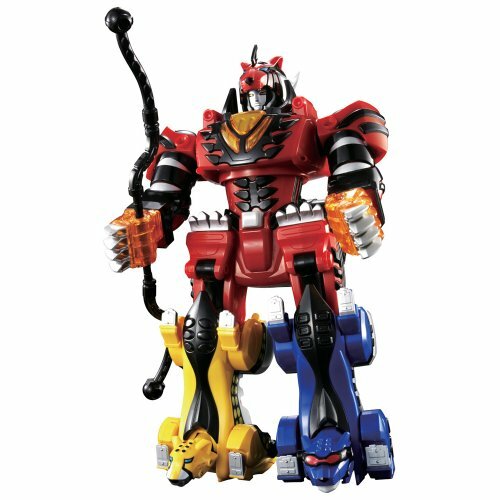 Together the Gorilla Fury Zord, Antelope Zord & Emperor Penguin Zord combined to create the Jungle Fury Master Megazord, with motorized thunder punch. 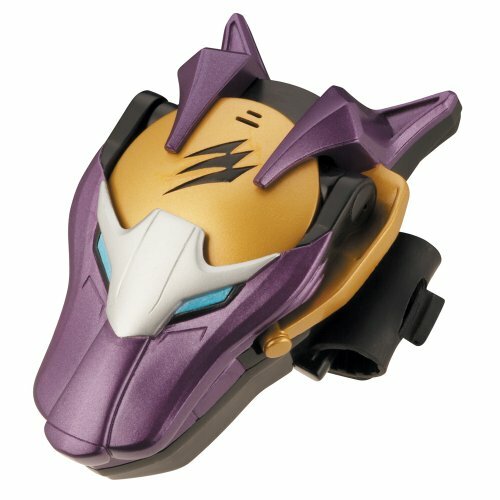 Battlized Beast Morphin Rangers feature color change chest emblems and snap-on armor for battalized mode! 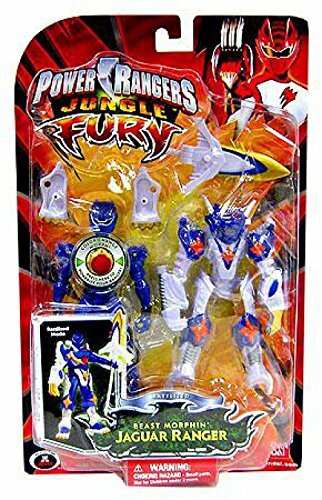 Bandai produced this line of fully poseable action figures based on the Power Rangers: Jungle Fury TV show. 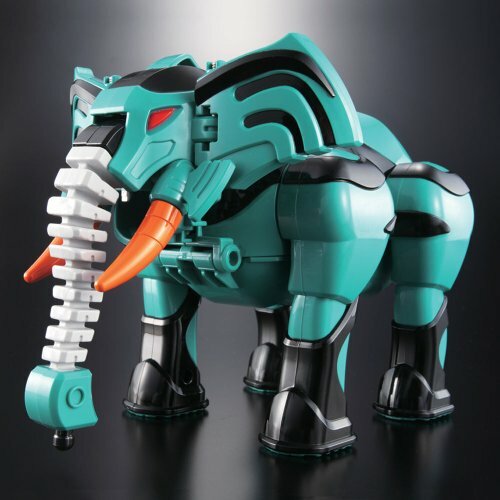 Collect them all, each sold separately. *Note: This item is only available to ship to addresses in the USA & Canada. Orders with shippng addresses outside the USA & Canada will be cancelled; we apologize for the inconvenience. 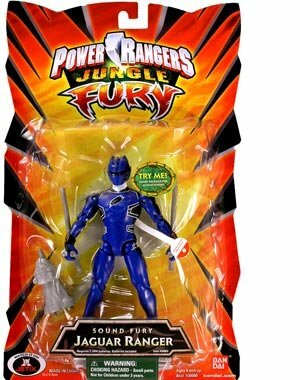 Each 5 Inch Power Ranger Jungle Fury action figure comes equipped with a shock sensor sound feature. Collect and combine weapon accessories from multiple figures to create larger weapons!